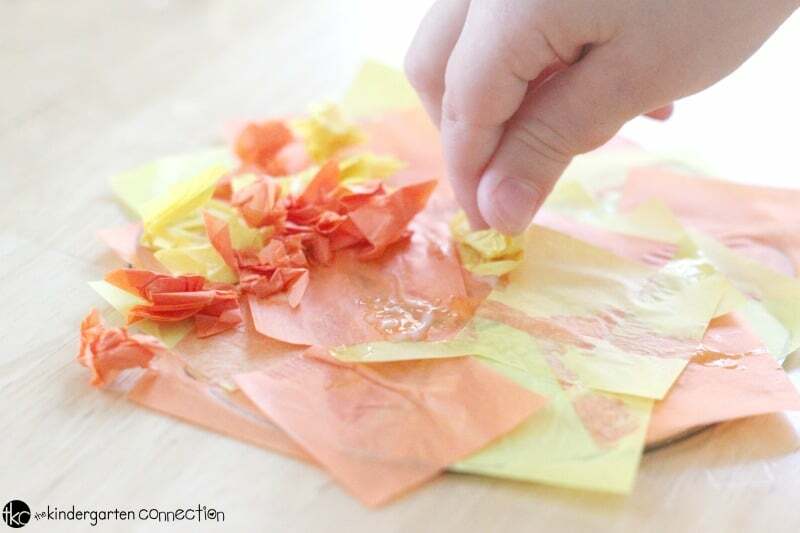 This tissue paper Summer CD Sun Craft is great for kids because not only is it frugal and easy to make, but it’s so much fun to do! The sun is shining, the birds are singing, the summer landscape has arrived and children are soon to be out of school for summer break! It’s these times we look forward to when our children are still young and excited for all the summer fun they are going to have. This is the perfect opportunity to start planning some easy summer craft projects! 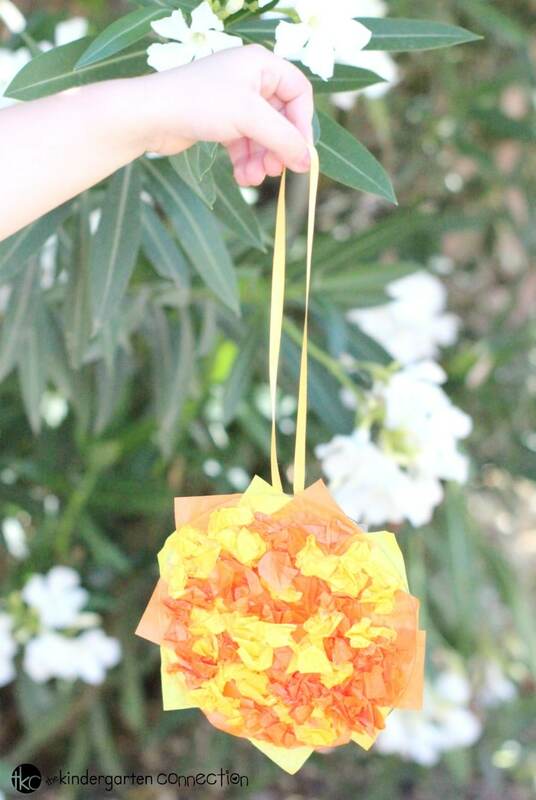 You’re going to like this Summer CD Sun Craft because not only is it frugal and easy to make, but it’s so much fun to do! As a child, I had the opportunity to experience both the lush, green midwest and the dry, hot desert southwest. Both of these places I dearly love but for different reasons. Summer in the midwest has greater opportunity to get outside and enjoy the beautiful weather and all the activities that the summer climate has to offer. While life in the desert during the summer months is so scorching hot that we rarely leave our homes, I do have to say the other 8 months out of the year are pretty incredible. It’s because of the hot desert summers that I’ve had to get creative as a mom when my children are out of school. One of the ways we do this is by making fun craft projects. 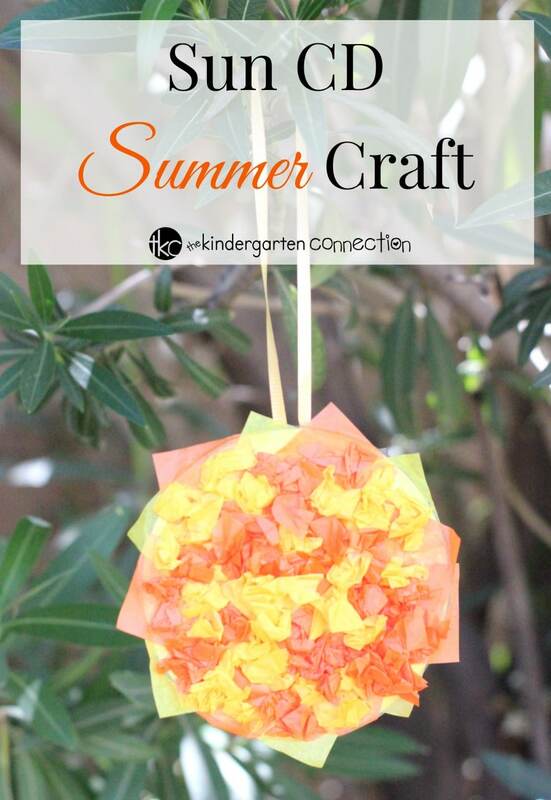 This Sun CD Summer Craft is the perfect way to spend a summer morning! 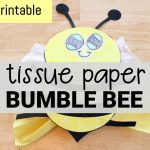 With just a few thrifty supplies your children will be on their way to making a unique summer craft project that everybody will enjoy! To start, prepare your supplies. 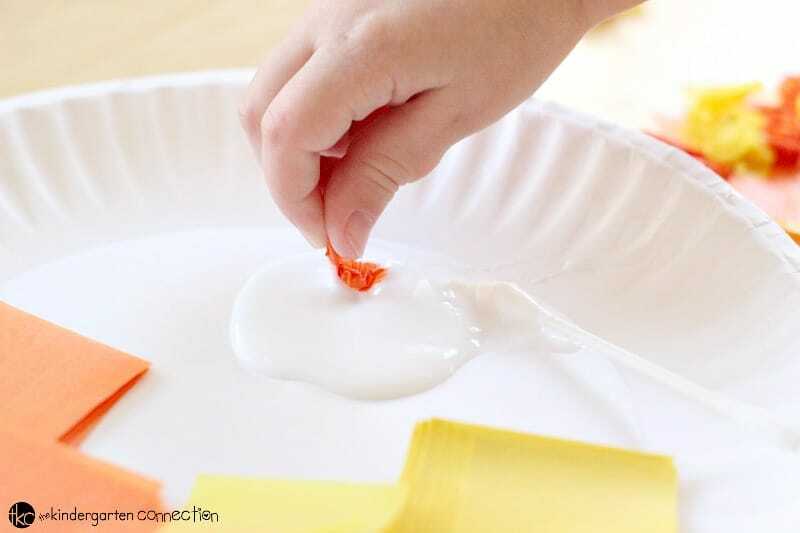 I like to place a good amount of glue on a paper plate. 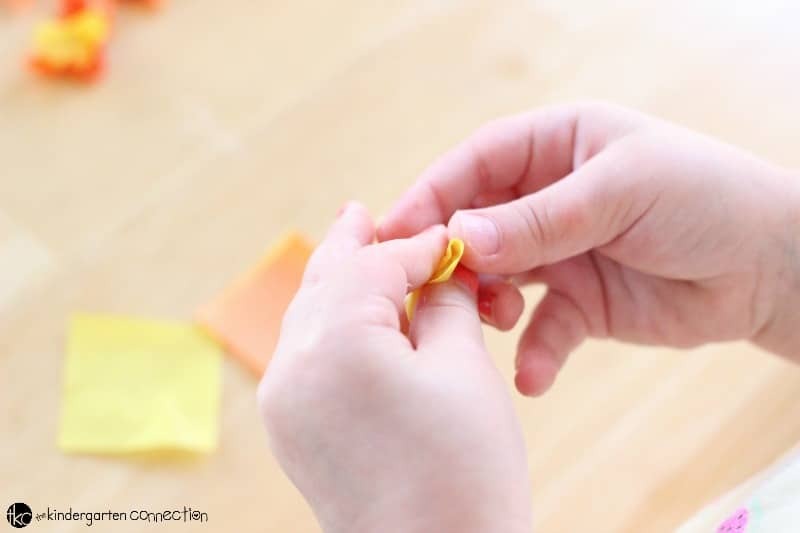 This helps little fingers be less messy when applying the glue to the tissue paper squares. 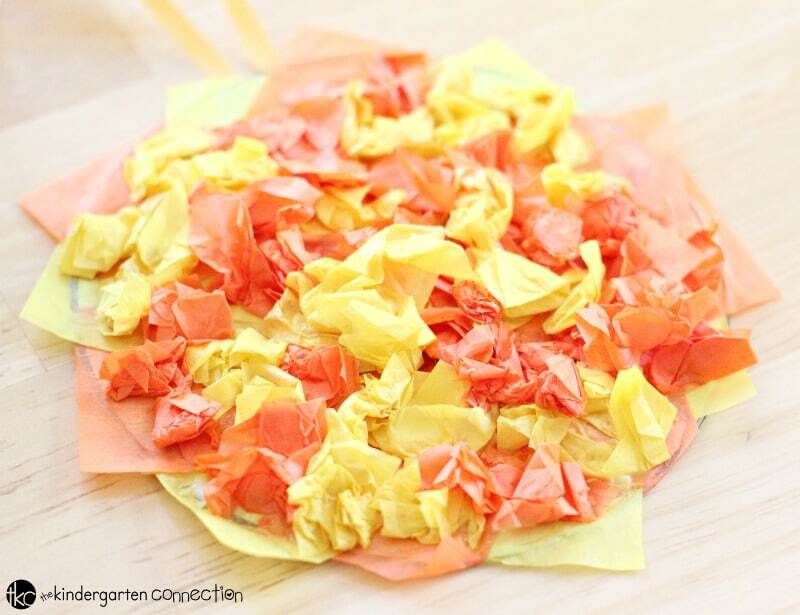 Crumple up a generous amount of both yellow and orange tissue paper squares and set them aside. Then, glue tissue paper for the sun rays. This is my favorite part of this craft project! Paint a generous amount of glue onto the CD by using a Q-tip. 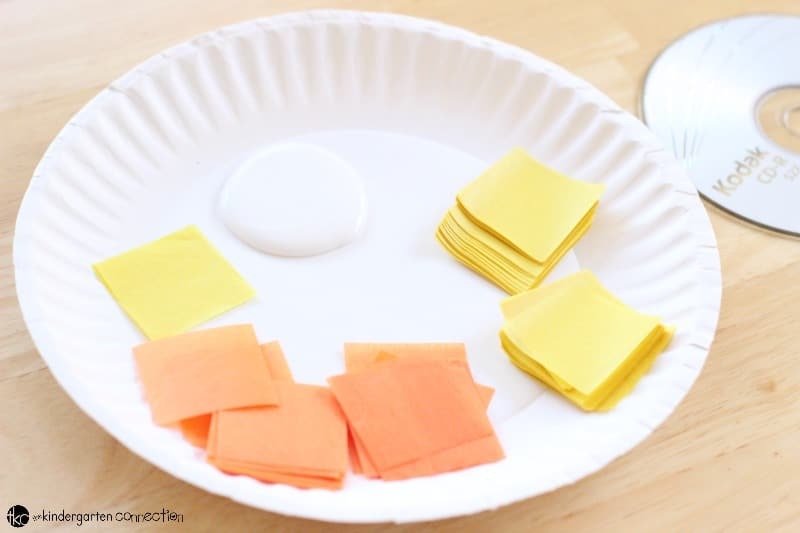 Then lay flat pieces of tissue paper down by overlapping them and creating the “sun rays.” Be sure to turn the tissue paper pieces sideways so that the triangle side points outward, over the edge of the CD. Tip: Don’t forget to use a few pieces to cover the “hole” in the middle of the CD. Grab pieces of crumpled tissue paper and glue them to the top of your tissue paper layer on the face of the CD. 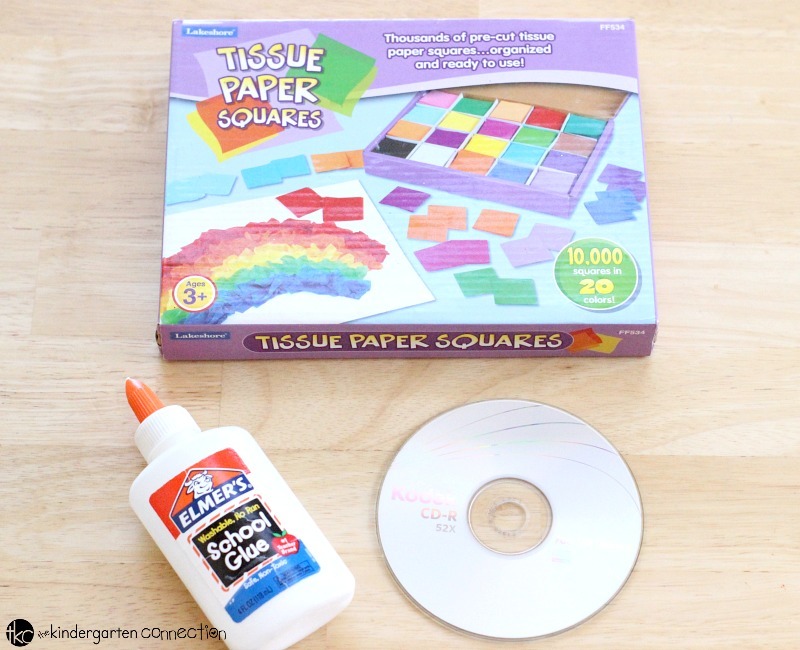 You could either dip the tip of the tissue paper into the glue and then stick it to the CD or paint the glue directly onto the CD using a Q-tip and then stick the tissue paper pieces onto the CD. 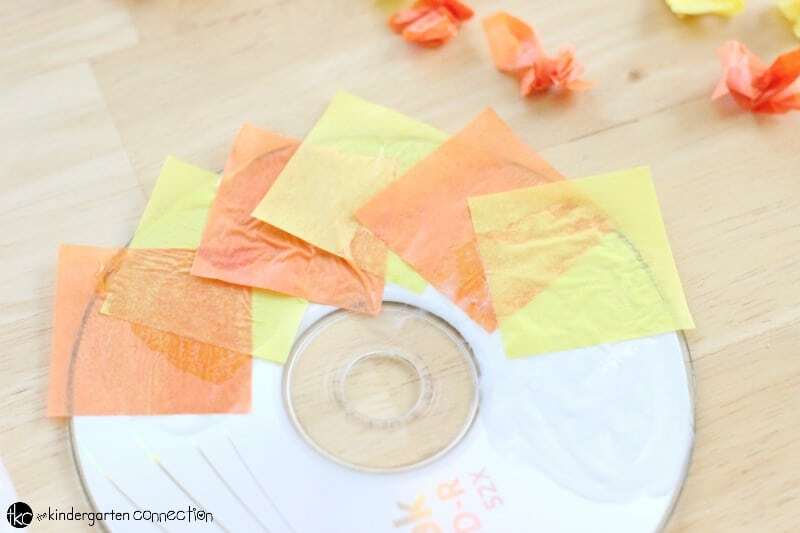 Completely cover the CD with tissue papers until it looks like a bright, beautiful sun! Tip: You can also add some ribbon and glue to the back of your sun CD for hanging. 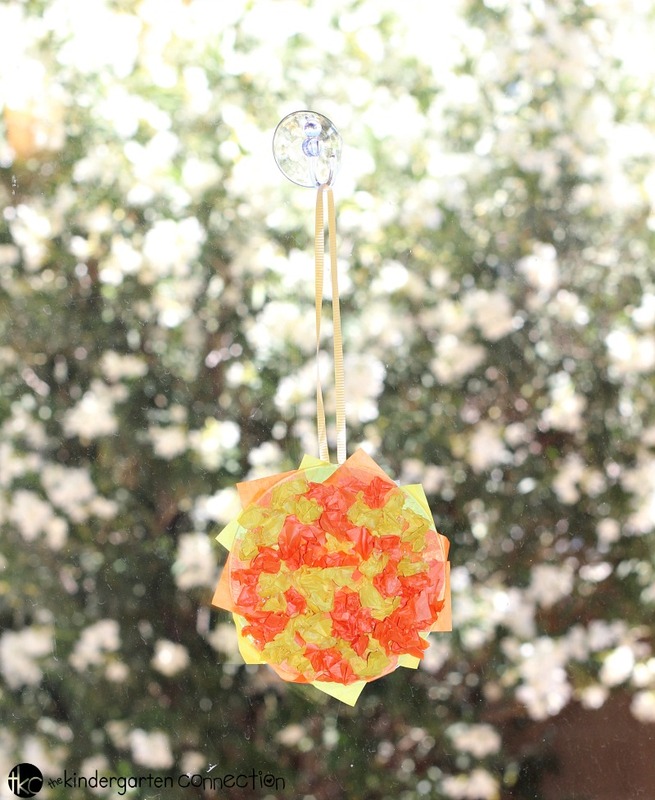 You can attach a suction cup to your window and hang your child’s new creation for all to see! We also decided to hang ours outside in our garden. Isn’t it beautiful?! I have a little secret to share with you…I did this craft project with my 2 year old daughter. She did an amazing job! When my “big kids” saw what we were doing they wanted to make one too! 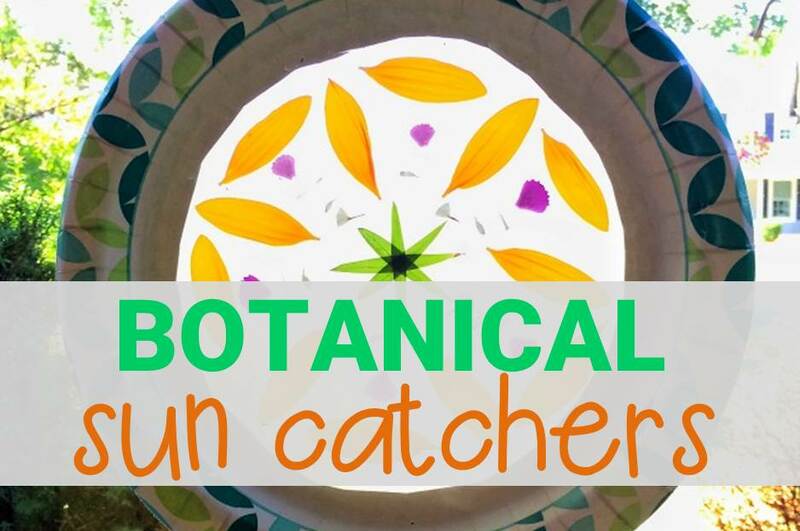 I am sure that you and your children will have a blast making this Sun CD Summer Craft project, no matter what their ages are! Enjoy! 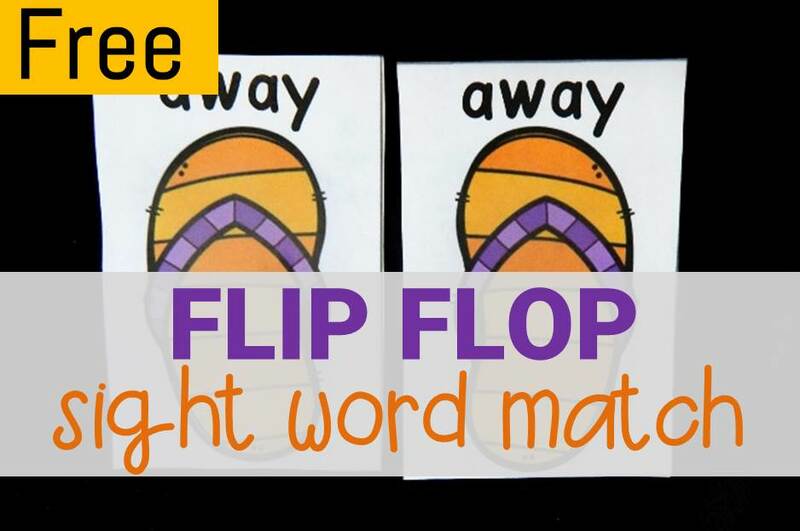 Looking for even more fun activities for your kids this summer? Check out more of our favorites!